MONDE A GREAT SUCCESS FOR GREAT GULF! ≈ Comments Off on MONDE A GREAT SUCCESS FOR GREAT GULF! 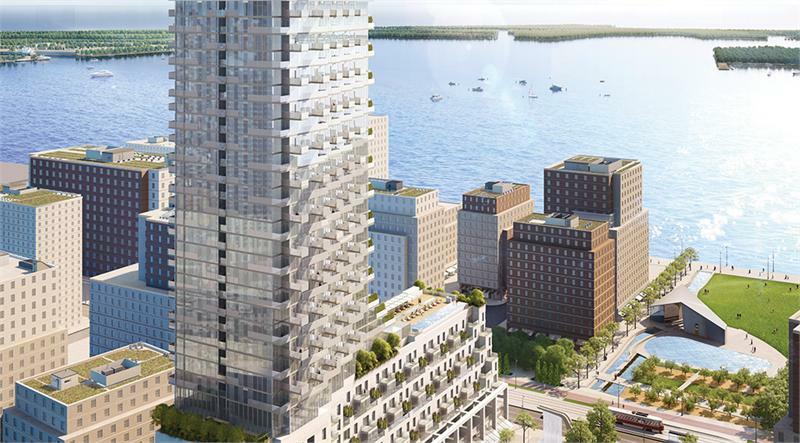 Watch for construction to start soon at Monde, Great Gulf’s incredibly successful and beautiful condominium at Queen’s Quay and Lower Sherbourne in downtown Toronto. The response has been wonderful, with savvy purchasers of all ages snapping up suites. With choices ranging from 1- to 3.5-bedroom designs and prices beginning from the low-$300,000s, there is literally something for everyone who would like to own a new home in one of the city’s last remaining waterfront properties. And oh, what a condominium this will be! The team of world-renowned Moshe Safdie of Safdie Architects and award-winning Quadrangle Architects has come up with a stunning exterior design crafted from both clear and white glass, with balconies that form an intricate pattern going up the building. It is sure to become an icon on the Toronto skyline. The design team is rounded out by Janet Rosenberg and Studio for the landscaping and Cecconi Simone for the interiors. Monde will have a park right outside its entrance, and is adjacent to the magnificent Sherbourne Common Park. Amenities on the 10th floor will span the gamut from fitness facilities to entertaining spaces and a landscaped outdoor lounge with indoor/outdoor fireplace, cabanas and a mesmerizing infinity pool. The views will be positively breathtaking. All of this can be yours close to Toronto’s Financial District and the trendy Distillery District. Find out more at www.MondeCondominiums.com.